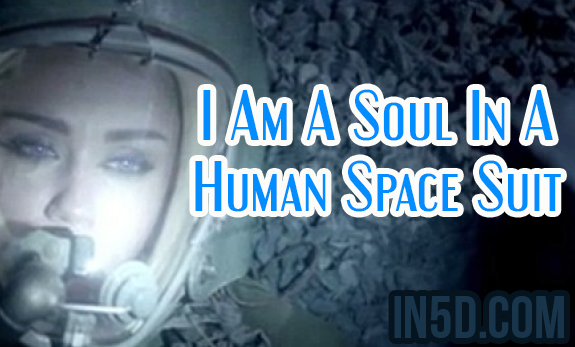 I am a soul in a human space suit. We all are. I will not die when my body is no more, my soul will continue, as will everyone else’s. We are here to experience this density, this reality; we are all on a journey an adventure. We all have our own destinies. Some of us will wake up to reality, some of us will not. I am awake; my soul is here to help, along with many other souls. We are here to help save humanity from the darkness that has descended on us all. We are here to help those that want to wake up. We are here to help those who do not want to wake up. We are all one. If we hurt others, we hurt ourselves. If we judge others we are judging ourselves. We see in others what is in our own hearts not what is in theirs. If we come from a place of love and understanding that is what we will receive back. I see hatred and realise people are really hating themselves. This life is hard and tough; this life drains us and takes away our humanity and empathy. We are all conditioned from birth, conditioned to be afraid, to be afraid of being ourselves, we are crushed and lose sight of what we are. Our self-esteem diminishes; our decisions start to come from a miserable place. We are manipulated and controlled from birth. Our true power is hidden and taken away from us. We can never be our true selves, we keep our true selves and feelings hidden, locked away, we go along with everyone else, afraid to stand out, afraid to be different, afraid of being outcast, afraid to speak out, to say what we are feeling, afraid of listening to our hearts. We are fed contaminated food, we are given contaminated water, we are injected with poisonous substances, we are sprayed with chemicals, we are given dangerous medicine, all to keep us enslaved and under control, ill people are easier to control than healthy people and if many die on the way even better, less people to deal with. And yet we still survive, we can still find love in our hearts. The darkness must be afraid, they must be very afraid, to use all these methods to subdue us to keep us down and under their control. They brainwash us with TV shows, movies, news programs, magazines, newspapers, books and yet we still find the truth. They are afraid we will find out the truth, the truth of what they have done, they are frightened and cowering in the corners. They have been very clever for so long, their time has now come, their day is now over, our lights are shining, shining through the darkness, lighting up our souls, the earth and the universe for all to see. The truth is the truth, nothing can change that, nothing can get in the way of the truth; nothing can hide from the truth. The truth will shine brighter than any lie or untruth; the truth will always win in the end. It’s just the way it is. The darkness knows this, they have always known this and yet they still tried to hide it from us all. They still tried to destroy us. The day has come, I can feel it. The light is shining, I can see it. The energy is changing, the tide is turning. This is our time. Our time to shine. About the author: Julie Alexander – I realized what was really going on in the world in 2013. Since then I have been trying to make sense of it all and help others along the way. I am still learning more each day. You can visit my Facebook here and my website here.